Amazon Prime Day: 30% off Bose QuietComfort 25 noise-cancelling headphones | What Hi-Fi? These former What Hi-Fi? Award winners are now only £139.95. Bose’s QuietComfort noise-cancelling headphone range has picked up What Hi-Fi? Awards for as long as we can remember. Indeed, it's a range that rivals are regularly benchmarked against. The QuietComfort 25s aren't the shiniest and newest offerings from Bose, (that’d be the £280 wireless QuietComfort 35s), but they’re still one of the best-sounding and best sound-blocking wired headphones out there - and can be yours for only £139.95 (down from £200.29) this Prime Day. They're available at this new price from now until midnight tomorrow (Tues 17th). The in-line remote is compatible with Android smartphones, while the quoted battery life for a standard AAA battery is 35 hours. The QC 25s can even be used passively if the battery happens to go flat. So, if you have a long-haul flight coming up and are after some comfortable, insightful noise-cancellers, what are you waiting for? 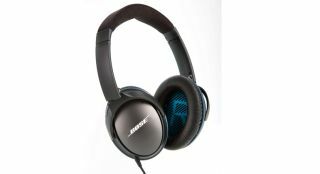 Get the Bose QC25 headphone deal on Amazon.